Hi Everyone! 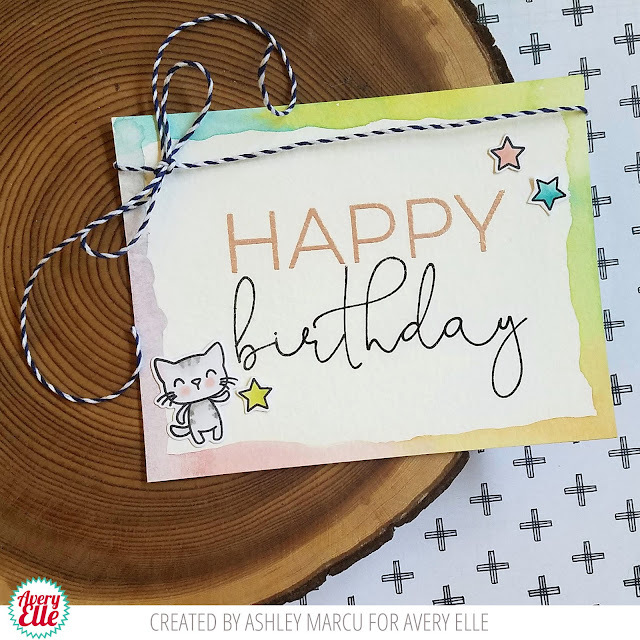 Today I'm sharing a fun card using Big Birthday stamps. To create my card I started by water coloring a border on my card base. I love how the colors interact and mix with each other. 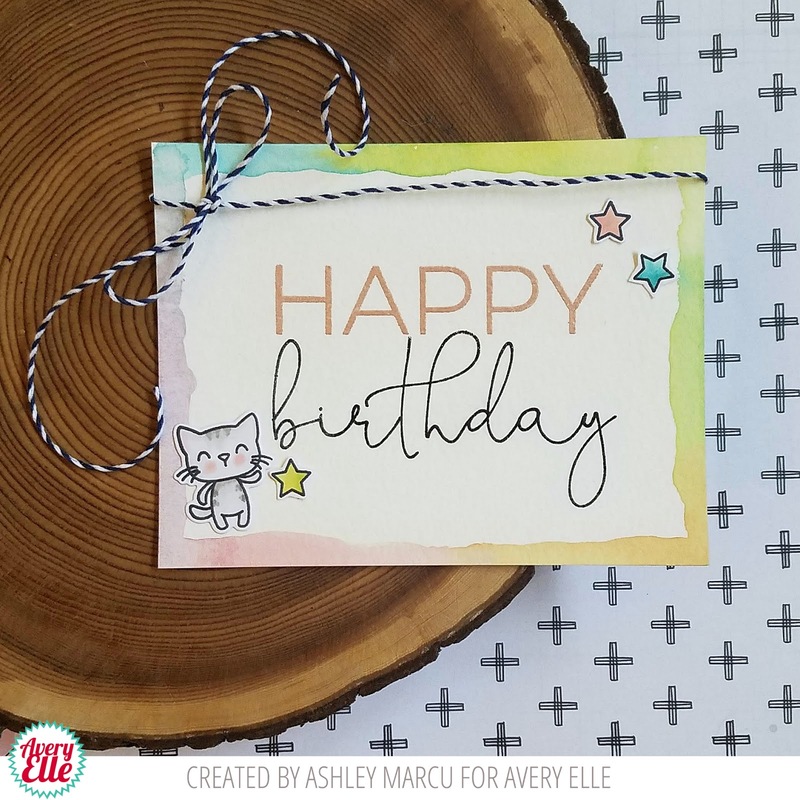 Next, I stamped "birthday" on the card. Tip: Water color paper can be tricky to stamp on. I used my Misti to stamp several times to get perfect coverage. Next I heat embossed "happy" above "birthday". I love the Rose Gold Powder. It's my favorite! Finally I added the cat and stars from Party Pals.